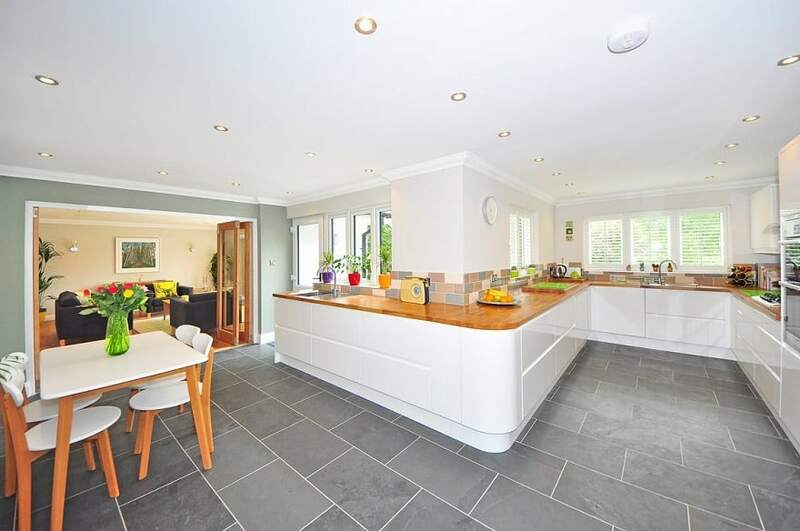 If you’re planning to maximise your luxury kitchen and living room space and create a smooth flow between these two areas where you could socialise with family members and friends, you may want to consider an open-plan design. 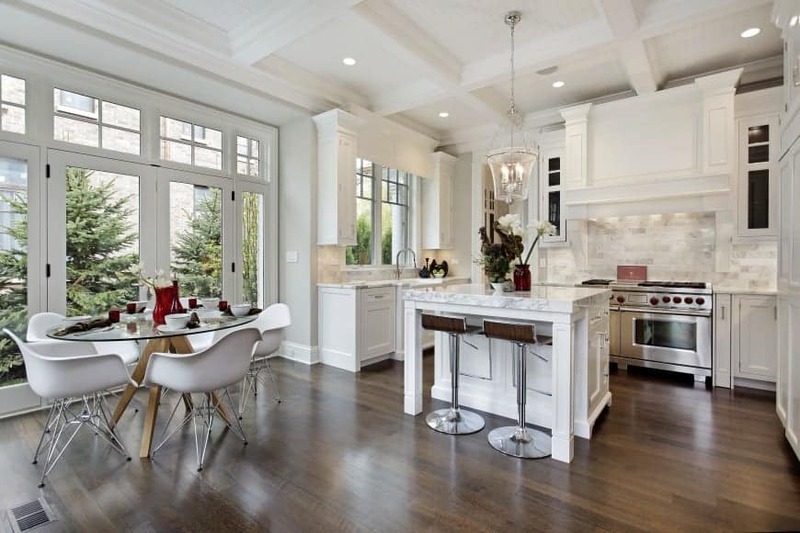 An open kitchen concept isn’t at all unusual, especially considering its popularity in contemporary style homes. 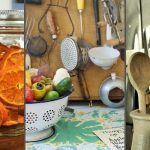 Our lifestyles have changed, and many of us have embraced the informal setting of cooking and socialising at the same time, making the most of the room’s overall function. Tearing down walls is in, as many interior decorators point out. 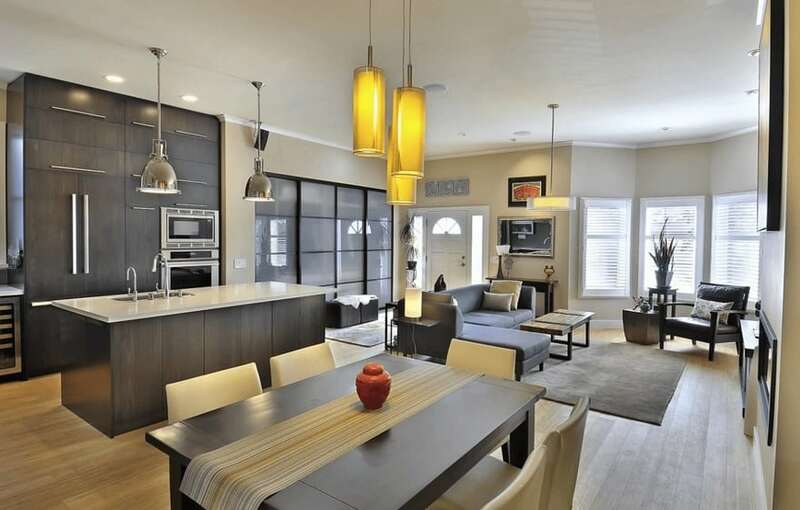 However, creating an open kitchen concept is more than tearing down walls between the living and dining rooms. A carefully thought design, the right layout and cohesive styling are some of the key factors needed so you will not have to sacrifice the opportunity for a cosy space. You’re in luck. 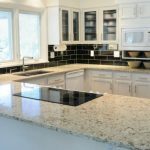 This article is aimed at helping homeowners who are planning on undertaking an open concept remodel and make their dream luxury kitchen come true. Start your remodeling by asking yourself, how can you benefit the most from it? For example, if you want to keep watch of the children while preparing meals or if you’re tired of being alone in the kitchen prepping the food, then position food preparation at the heart of your new open kitchen plan. Not only will you be able to socialise with those around you, but also you could get a few helping hands and finish food prep early. If you plan ahead, practical tasks such as carrying hot dishes from the kitchen to the dining table could be shortened if they’re positioned relatively close. This is practical and ideally safe if there are small children in the household. During gatherings, you’ll no longer be left out from conversations. While cooking, your friends could be sitting near the kitchen counter having a glass of wine. Socialising has never been more open than this. Now that you have your priorities ironed out, it’s time to think about the layout. The whole idea of this concept is a flexible, open space. It doesn’t mean you have to have a square box placed in the corner of the room. Instead, utilise the varying kitchen layouts and create different kinds of spaces. How about you try a U- or L-shaped kitchen or a galley or horseshoe kitchen layout? By embracing different kitchen layouts could result in successfully separating spaces for various activities in your open kitchen concept. The separated spaces, in turn, create the zones, giving visual variety. Good kitchen zoning will create smooth fluid flow from one activity to the next in different zones and reduce clutter in one space. Keep in mind that when designing these zones, you should treat them as separate rooms. For example, install separate electrical circuit and lighting for each zones even if it is part of one space. For a clearer example, you can turn off the kitchen lights and keep the living room lights on to create a different ambiance for that space. It’s better to keep things simple since you’ll be merging different spaces into one open space. You need to make sure materials, colors and style coordinate with the rest of the areas. This might seem obvious, but you would want to maintain an aesthetic flow throughout. This involves consistency in flooring and lighting. For your upper cabinets, opt for unobtrusive and simple designs. If you plan on using more than one color palette, make sure they complement each other. You can also add layers of texture and different tones for accents and highlights. If you plan to cook, eat and also entertain in the same space, don’t forget about the noise level. After all, who would want to eat and shout at the same time? Its best you invest in appliances with decibel levels under 39, introduce soft furnishings that soften the sound, purchase relatively affordable acoustic plasterboard and soundproof utility walls and wherever noise is a potential issue. The choice of material. To reflect light, utilise high gloss surfaces or light colours and mirrors. Glass and more glass. Often, if you have an outdoor space, the open kitchen plan will face the garden. This is a good opportunity to optimise the flow of natural light into the room. Use as much glass as possible. Roof and top lights. To differentiate spaces, use these lights above the different kitchen zones. 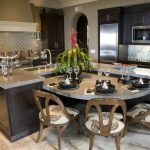 Avoid an empty-looking room by defining the different kitchen zones clearly by adding an island. This is especially necessary for large kitchen spaces, as the island will separate the kitchen from the dining area. Before designing your island, plan first if you want it mainly for cooking and food preparation or you want it used for socialising where guests can grab and stool and sit and chat? Your kitchen cabinets will have to make up for the lost storage space of the torn-down wall. Know that the secret to a well-conceived open plan concept is clever storage space. Who would want a room filled with clutter? So, have a separate utility room where you will store white goods. Hide kitchen tools and gadgets using pull-out units. 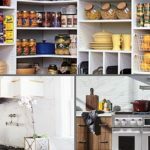 If you’re fully committed to having an open kitchen concept, brace yourself with the challenges that come along with it. Privacy. Obviously, since you will be tearing down walls and using glass to have a full-view of the garden, some privacy will be lost. Fewer walls. If you love your artwork or family photos on the wall, you might want to rethink where to place them. You will lose some walls, so plan ahead where to place them. Hate the mess. If you don’t like seeing clutter, then an open kitchen concept might not be for you, unless you don’t mind cleaning every now and then. 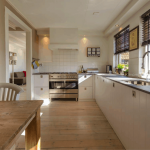 A messy kitchen or toys around the space are easily visible with this open plan. The key to a clutter-free space is keeping it tidy and appropriating storage to specific items. 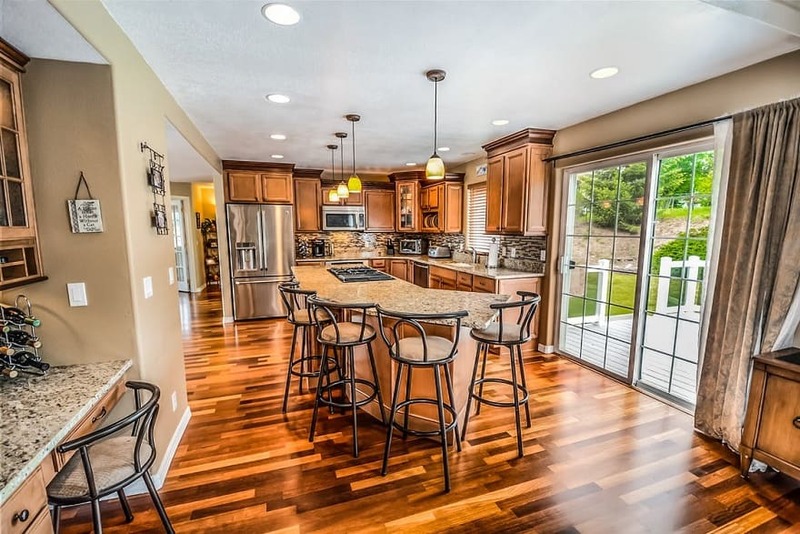 It’s easy to see why many homeowners are embracing an open kitchen space. Not only is it attractive, but also it is functional and practical. This large undertaking, of transforming your luxury kitchens into a useful open space, has its ups and downs. It might not be for everyone. Keep in mind these three tips: Plan. Plan. Plan. 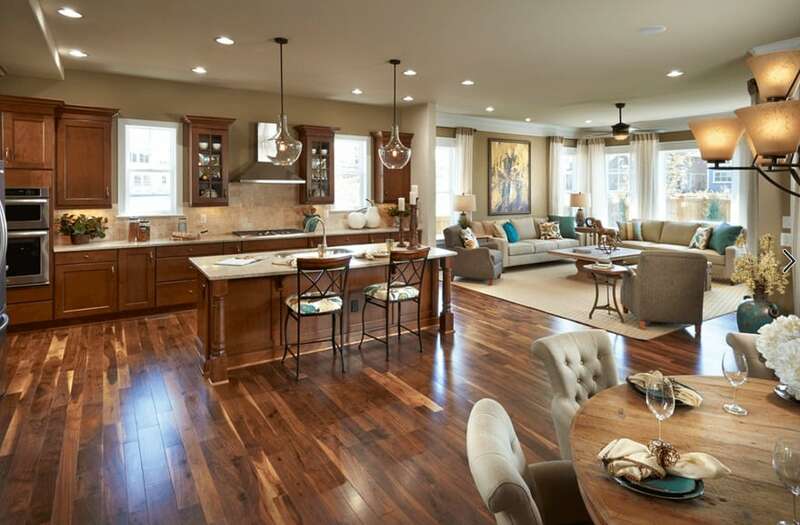 For peace of mind, you can always enlist professionals to help you create that spacious living area a dream come true.